Six months and 40 pounds later, I was was staring at my muffin top and wondering what had gone wrong. 5. Peanut Butter. Repeat after me: “A jar is not a serving size. A jar is not a serving size.” Do NOT dig a spoon in there and think that you can handle stopping. Ever. You CAN’T. Something about the creamy, nutty, salty-sweet combo of peanuts and honey sends endorphins to the brain and makes it impossible to stop eating. Follow this advice and measure your portions. And spread it on something – a celery stick, a graham cracker, a pretzel, anything at all. 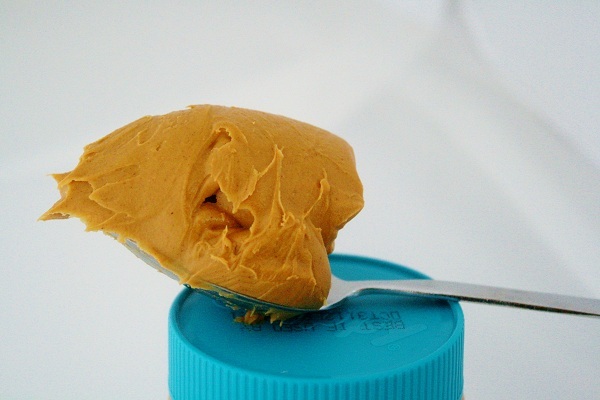 You might think that you are saving calories and carbs by eating the peanut butter au natural, but you are really just giving yourself another reason to dig back into that jar with your spoon or fingers. Peanut butter is a great source of protein and healthy fat, but too much of a good thing is just too much. Measuring is your friend here, and the more you measure your portions, the less you will have to measure yourself for new pants. Same rules for peanut butter apply to Nutella. Woah this weblog is excellent i love reading your posts. Keep up the good work! You realize, a lot of individuals are hunting round for this info, you can aid them greatly. I am not certain the place you’re getting your info, but good topic. I must spend some time learning more or working out more. Thanks for great information I used to be on the lookout for this information for my mission. utilize torrid promo code 2013 keeps money in their pockets. for 20 coupon and wished which you could save like them? save large bucks on your subsequent purchasing trip. a while at a restaurant or the motion pictures. post will help you raise your game. saving money should in no way go out of style.Coupons nevertheless save on every little thing from groceries to clothes. Utilizing coupon for haircut might help you save a better value. The beneath post contains some excellent suggestions that will assist you get the most out of one’s coupon use. with great guidance pertaining to wingstop coupons. Memory is extremely important for your health and happy! you will need. Don’t forget everything, find out all which you are able to!